← Rogue Character….watch out for him! Hello everyone! WordPress has been being a stinker at my house for some reason so I haven’t been on as much as I used to be. Every time I try to check comments, nothing loads. And I have not had time to get online when I am in town, because I try to go to the gym while my daughter is in classes. That’s another reason I haven’t been doing quite as much painting lately. The school year makes it harder to get to. But this week my husband is off and he and my son are sharing the load of taking my daughter to her classes this week to give me some free time to work. 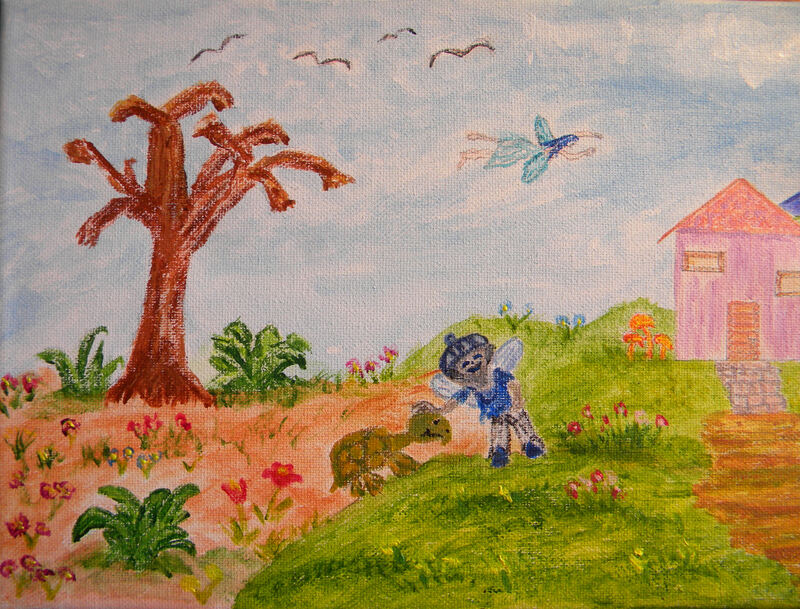 Soooo…….here is my latest painting. I realize this is a Spring scene, and we are less than two weeks away from Christmas, but this is what I have had in mind for a long time and didn’t want to wait until Spring to post it! 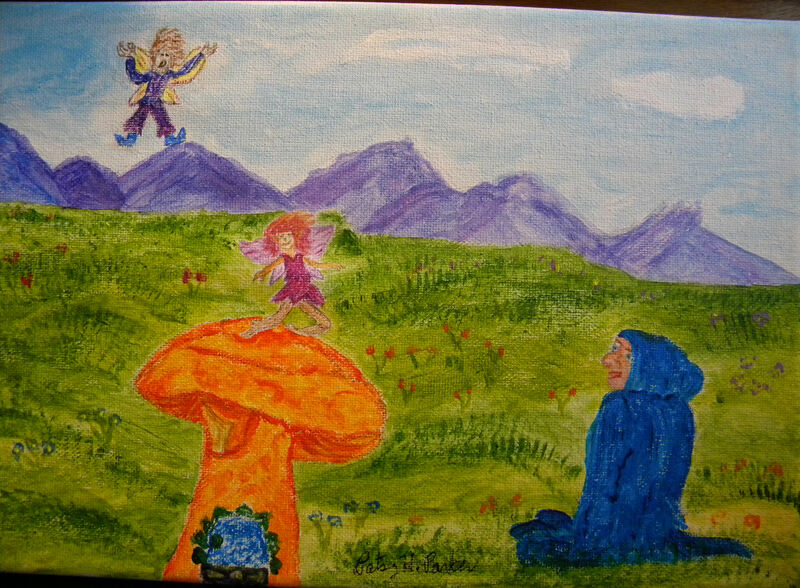 This is my first fairyland. It is done in acrylics. The pictures of it were difficult to take, though, because the canvas is long and skinny. It has been sitting with the drawing on the canvas since last week. I began painting it three days ago and finished with the last touches today. So bear with me as I sort of give it to you in pieces! Here is a full shot as best as I could get. The “panoramic” feature on my camera is weird so I didn’t use it. 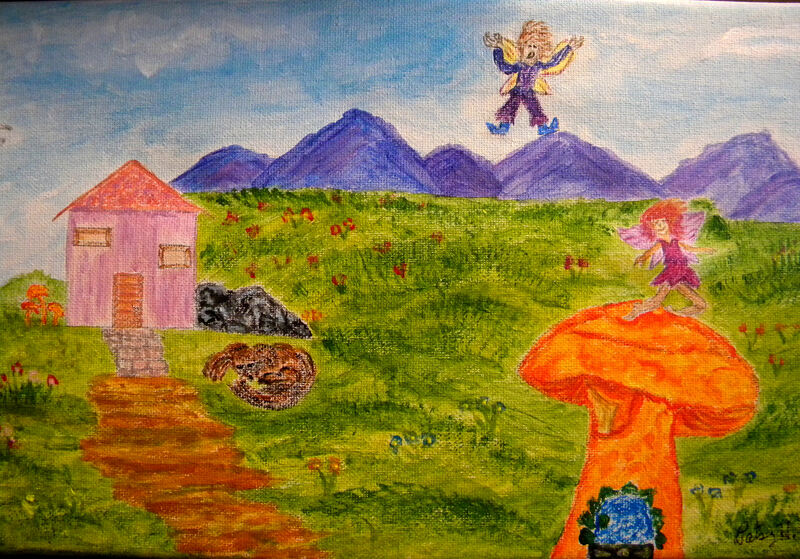 Close-up of the far left of the canvas…..
Posted on December 15, 2015, in Art Talk and tagged acrylics, fantasy. Bookmark the permalink. 9 Comments. They are lovely! Keep painting, you have a great talent.